The “little white dog of Havana” or the Havanese dog is the national dog of Cuba. While still considered a toy breed, the Havanese dog is very sturdy despite their small stature. The Havanese is a type of Bichon breed that is not only a fantastic family pet, but also great for allergy sufferers. If you’re looking for a little dog with a lot of personality, that won’t aggravate your allergies the way a lot of breed can, then you might want to consider a Havanese dog. One of the wonderful things about dogs as a whole is that they all have different personalities. 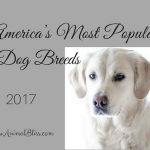 While some characteristics can be breed specific, each breed can be quite unique when it comes to individual personalities. The Havanese dog has a very spirited personality and a curious disposition. Havanese dogs are also a very loving breed, and require a lot of affection. 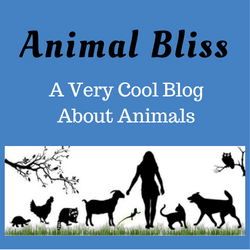 They love to be by their owners and typically form a very close bond with one person, which they will then follow around the house. Because of their love of attention, the Havanese dog gets along well with people of all ages, making them a great choice of family dog if you have children. A huge plus for the Havanese dog is that they are hypoallergenic. Despite their long, silky coats Havanese dogs don’t tend to shed or moult the way other dogs do. Most dogs of this breed have a double coat, although the undercoat is sometimes absent altogether. While the coat can vary from dog to dog (whether it is coarse or silky) it still requires brushing and combing to keep it free from matting and tangles. 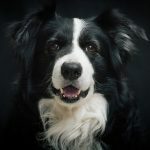 With regular brushing, combing, and overall grooming, it’s possible to cut the amount of dog dander (the part that actually triggers your allergies) to a minimum. Despite the length of their coats, it’s not the heat you have to worry about for Havanese dogs, but the cold. Being a native of tropical climates, their long coats actually work as a sun shield, keeping them cooler in the summer time. If you live in an area where winters get cold, it’s important to keep their coats long as they can get cold, quickly. 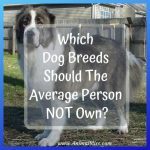 When it comes to picking a dog for your family, there are a lot of considerations to be made. 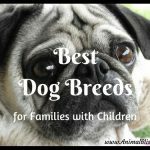 It’s important to find the right dog to fit your family, especially if you have allergies, children, or both. A Havanese dog is a good choice if you find yourself in this situation. Because of their smaller size and need for only moderate exercise, this breed also does really well in both apartments and smaller homes. It is important to note, however, that a Havanese is a very personable and affectionate dog, and requires a lot of love and attention. 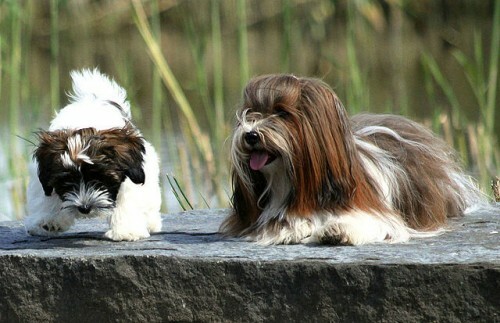 Havanese dogs don’t do well in environments where they are left alone for long periods of time. Make sure you have the time and ability to commit this kind of time to your dog before you decide to get one. This is true, not just of Havanese, but of all dogs. 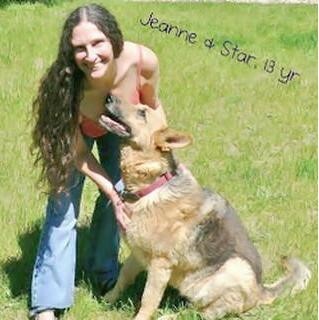 Love and affection are key components for any dog to be happy and healthy. What kind of dog do you have? We’d love to hear! i have several friends that have Havenese dogs and love them. 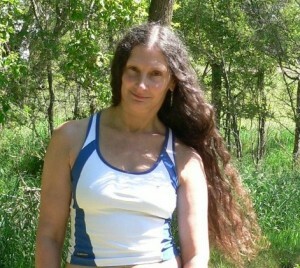 i think Barbara Walters made them big when she got one many yrs ago. no one had really heard abt them and then you started seeing them everywhere. then they got recognized by the akc and now see them at dog shows. The Havanese are a cute little dog, aren’t they? I’d forgotten that Barbara Walters had one. They’ve got a lot of character. Thanks for stopping by, Sandy!